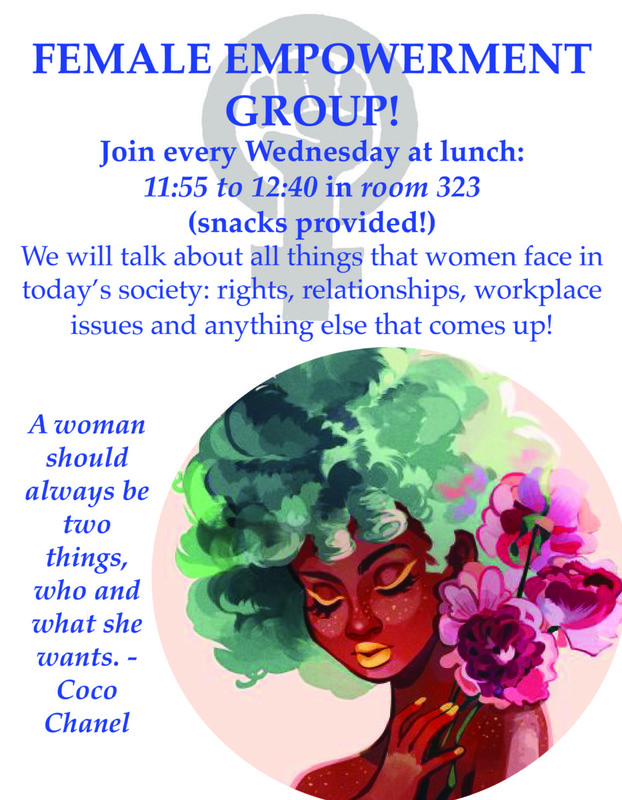 The Female Empowerment Group gathers every Wednesday at lunch to discuss topics that are important to women, healthy relationships, being a woman in the workforce, being a woman of color in the workforce, personal identity and personal empowerment! 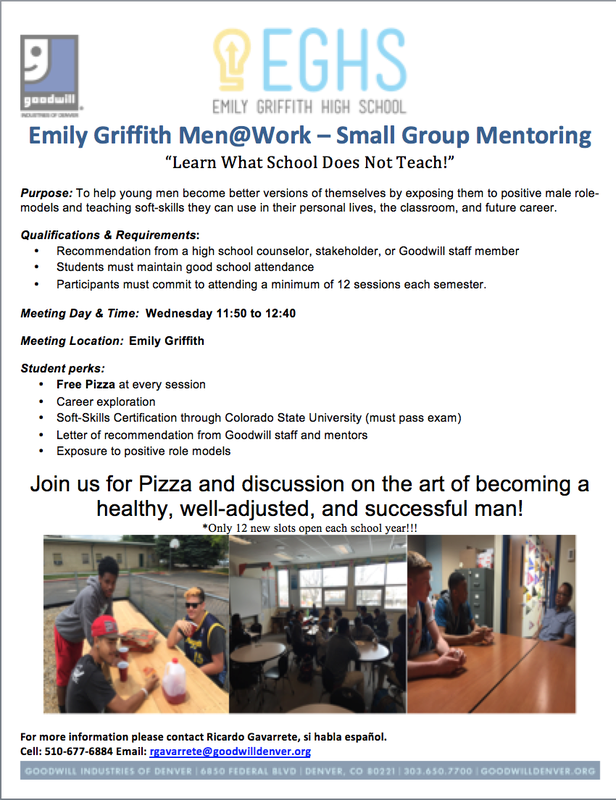 Men at Work is hosted by Goodwill Industries of Denver, is providing help for young men to become better versions of themselves by exposing them to positive male role-models and teaching soft-skills they can use in their personal lives, the classroom, and future career. 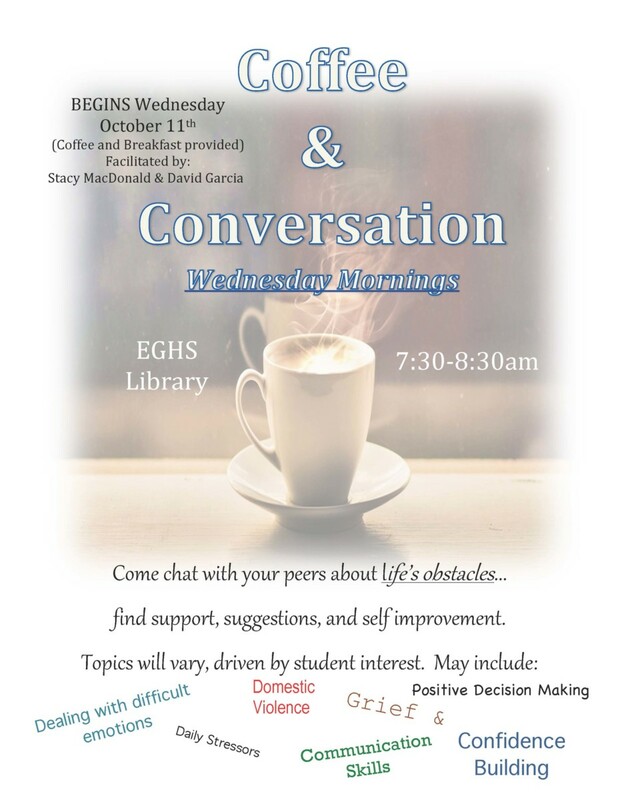 Come chat with your peers about life’s obstacles, find support, suggestions, and self improvement. Topics will vary and be driven by student interest. 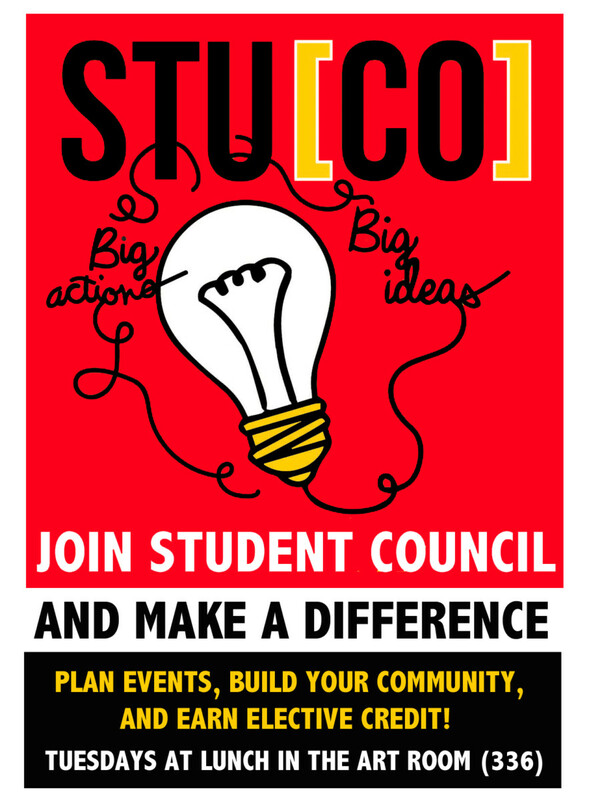 The Student Council assists students and staff in running programs, doing fundraisers, hosting events, providing tours around campus for interested parties and makes the school the best place it can be for it’s youth! 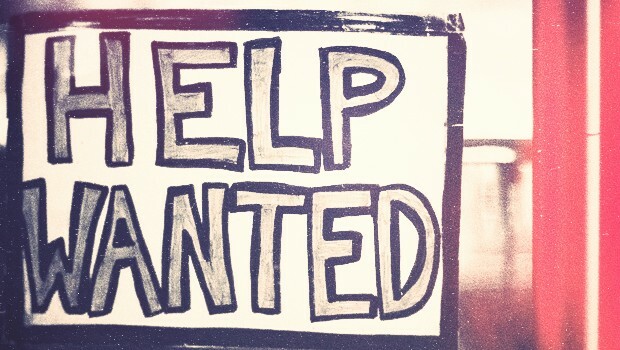 Local organizations often contact Emily Griffith High School to recruit employees because they know we enroll mature and motivated young adults. Take a look at our school Facebook page titled “Emily Griffith High School”, as well as our GED “Facebook”, “Twitter” and “Instagram” pages, all titled “GEDPlusDenver”.